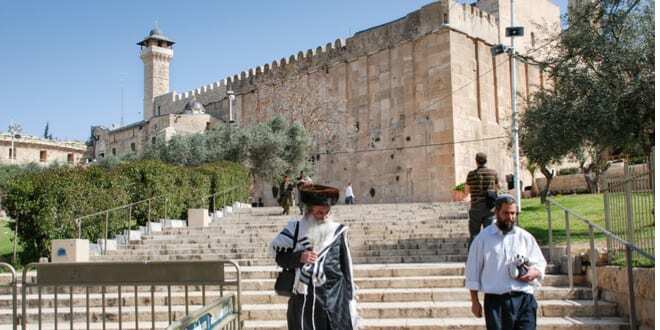 Joint List and Meretz Knesset members will host a conference at the Knesset next week calling for the immediate expulsion of Jews from the ancient city of Hebron. “The settlement in Hebron is the expression of an extremist government policy that pours mass sums of money and endangers human lives to strengthen and maintain a handful of extremist settlers. The evacuation of the settlement in Hebron is a first and necessary step to promoting a diplomatic solution and bringing the Israeli-Palestinian conflict to an end,” Joint List MKs Ayman Odeh and Dov Khenin, as well as Meretz MK Michal Rozin, said in a statement. The “Hebron First” conference will include a speech by the executive director of the radical pro-Palestinian organization B’Tselem, who was recently invited by the U.N. Security Council to give a speech condemning Israel’s treatment of Palestinians. Leaders of Breaking the Silence, Peace Now, Yesh Din, and Palestinians from Hebron are also invited; however, members of Hebron’s Jewish community were issued no invitations to participate or discuss any of the organizers’ statements or accusations. They said the conference reflected undemocratic and extreme policy ideas. Organizers of the conference said that the 85 families and hundreds of students living in Hebron represent a “cruel segregation regime,” though Jewish families live in just 3 percent of the city, which is home to approximately 200,000 Arabs. But Fleisher called Hebron a “part of Israel’s core identity,” and said the organizers’ opinions are “out of touch” with the Israeli public. “It’s obvious that the organizers of this conference are not in touch with the Israeli public, who visit Hebron to the tune of 700,00 visitors a year, and 40,000 over Shabbat Chayei Sarah, which is also attended by several Knesset members and government ministers,” he said. Knesset regulations require that conferences be approved by the Speaker of the Knesset, who is Yuli Edelstein. Because organizers anticipated Edelstein’s rejection, they are defining the event as a “gathering” in order to sidestep the parliamentary rule.